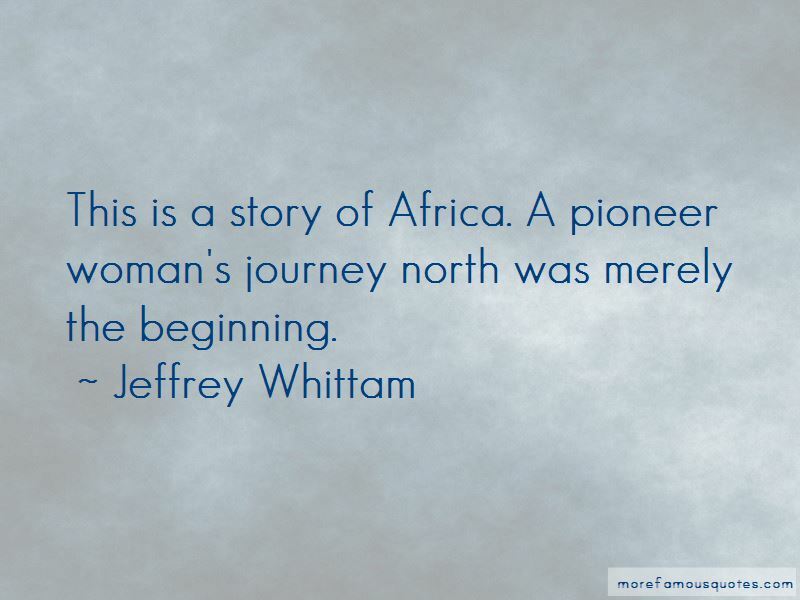 Enjoy the top 1 famous quotes, sayings and quotations by Jeffrey Whittam. This is a story of Africa. A pioneer woman's journey north was merely the beginning. Want to see more pictures of Jeffrey Whittam quotes? Click on image of Jeffrey Whittam quotes to view full size.